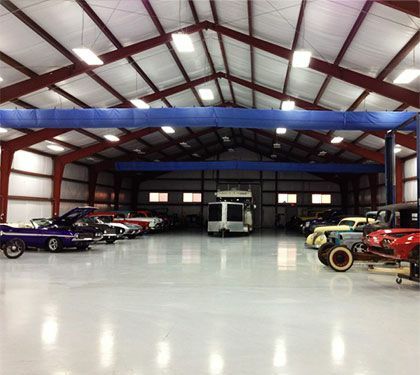 Customs & Hot Rods of Andice (CHRA) is a one stop shop for all your Restoration and Custom Automotive needs. Our goal is to build the finest autos in the World. Please contact us if it is time to make your dreams become a reality. Our state of the art facility is located just north of Austin Texas on a beautiful gated ranch. We keep our full builds in bare metal because we don't have anything to hide. We want you to see exactly what you're getting every step of the way. 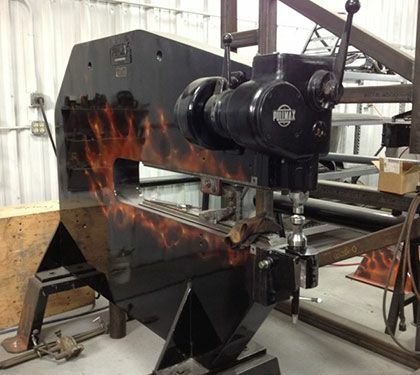 By employing some of the most talented individuals we can find, and being outfitted with the best tools the industry offers, we can offer very nice fabrication! Our paint department has outstanding individuals that have developed an eye for the most minute details. 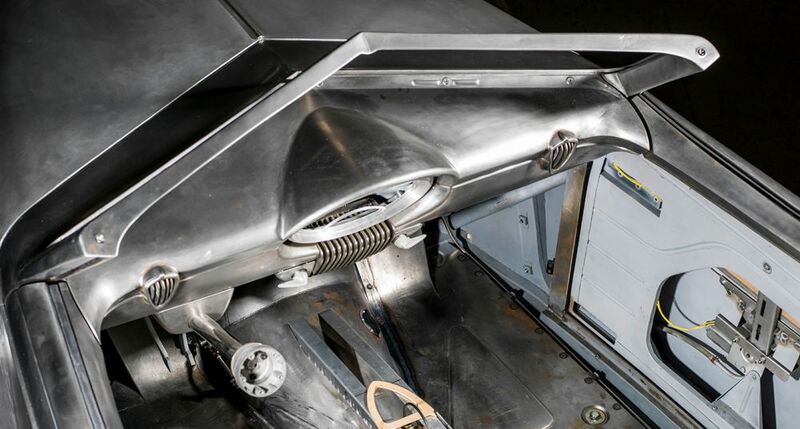 This, combined with our state of the art booths; prep stations; and full mixing banks of both waterborne and solvent based PPG paint products, we can offer world-class award-winning results. Having our upholstery shop in-house allows us so much control of design and quality. Our upholstery man is one of the best in the world. Jays work always takes top honors. If starting with an existing car isn't what you want to do, no problem. We will work with you to design and build you a car that is one-of-one and 100% the way you want it, built to the highest finish level. The Shop has been outfitted with the best equipment the industry has to offer. The entire facility is first class. Billy and Thomas' 1939 Oldsmobile won the 2016 Don Ridler award at the Detroit autorama and was built by CHRA. It's got an oldschool 455 olds motor built be Joe Mondello, a coachbuilt one of a kind body, Charlie Hutton Paint, and Jay Schulter interior. What sets our shop apart from the others is the team work and willingness to listen to one another's ideas, criticisms, questions, concerns. I feel that's how the best things are created, with a strong group that respects one another. Background in heavy duty rock trenching and the development of the equipment used in the market today. I love all cars. My favorite cars are the cars in the thirties because of the curves and elegance. Add horsepower and away you go. Have loved all things mechanical from a young age. I bought my first car, a '54 Chevy, when I was 12 with money I had earned. Worked for a mechanic and a race car fabricator in junior high and high school. 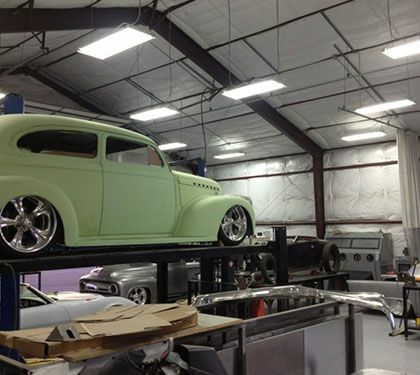 Attended Wyo-Tech for Auto-body, Street Rod, Chassis Fab, Business degree. Worked for a small restoration shop before beginning at Pinkees Rod Shop where I learned a lot about building High End cars. Harold contacted me and I gave CHRA a try and together we have built the shop to what it is currently. We have now built several award winning cars with some of the most talented people in the Industry. It all began the summer of ’89 before my senior year of high school when I got my first car, a 1966 Mustang. My passion for cars even lead me to get my BS in Mechanical Engineering from Penn State University. Knowing I wanted to be more of a “hands on” engineer, I attended WyoTech to learn metal fabrication. After working a couple years in a street rod shop I was offered a job in the Street Rod program at WyoTech where I taught for the next 6 years. From there I set out on my own & opened Dagmar Customs, building cars in my shop in PA & freelancing at several shops across the country for the next 3 years. Freelancing so often in CA, I decided to move Dagmar Customs to southern California. For 7 years Dagmar Customs continued building cars but focused more on teens-30’s era cars that where shown at Concourse events like Pebble Beach. In 2014, God called me to close the business & move to Texas where I’ve been working for CHRA ever since. Alex started working at his grandfathers auto repair shop at 10 years old and learned to drive the shop truck at 11. 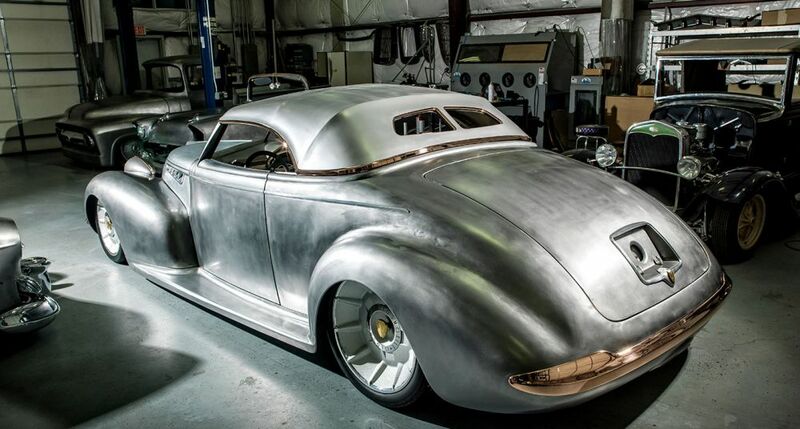 He bought his first car at 14 and built it up to have something when he turned 16. Always loved shop classes and found machining to be something he really enjoyed. Attended Wyotech and completed Automotive -Street Rod and Chassis fab courses. Began at CHRA in 2013. I was born into hot rods. My Grandpa & Great Uncle ran top gas slingshots in the late 50's/early 60's. Graduated from Wyotech in 2005. Worked at Kikin Street rods for a year and a half, then Cimtex Rods for a little over a year. After a 2 year stint in a family business, went to Austin Speed Shop for almost 3 years during the "Jesse James' Outlaw Garage" era. Also attended ACC for mechanical engineering during that time. Worked at Pinkees Rod Shop for a little over 2 years, then back to Austin Speed for 8 months. Co-owner at Royal-T Racing for a little over a year. 36 years experience doing trim and upholstery. 2 years of teaching at a Trim school. 5 years at CHRA. 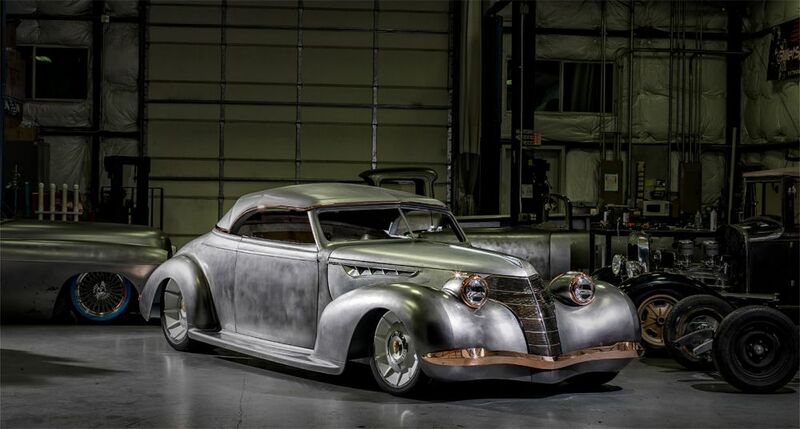 First high end car Jay did was called Loaded A 29 Roadster pickup at Pinkees Rod Shop. Since then Jay has done several high end cars here at CHRA; including the 39 Olds Riddler winner. Started as a shop cleaner/technician when I was 15 years old. Started doing metal fabrication shortly thereafter. I slowly moved my way into the body shop where I learned how to do paint and body work. I learned most of my paint skills from a painter named Heath Henderson. I worked along side Heath for the majority of the time while I was at Cimtex Rods out of Jarrell, TX. I learned most of my body work skills from a guy named Will Trammell. I worked at Cimtex Rods for a little over 6 years. I managed to get a job at CHRA, where I currently work to this date! I have been a painter, bodyman/fabricator for about 29 years. I started working in this profession at the age of 14 when I helped paint a car with my Grandpa. After high school I chose to go to a 2 year college program for auto body. When I finished college, I went on to get experience in shops from Lowrider's to hotrods. I also went on to Aircraft painting, layout and design graphics on private aircraft, where I managed for some time. Then I decided to go into business for myself, which included airbrushing and custom paint. 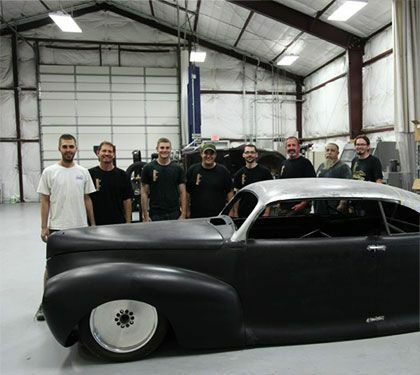 I have also been a instructor for a hotrod program teaching all aspects to building cars and painting. Currently doing Paint and Bodywork here at CHRA. I have been working in hot rod industry since 2008. I started my hot rod career at a different high end shop sweeping floors and worked my way into different departments over time. My career took me here to CHRA doing fabrication, paint/body work, and assembly. Loved autos from a young age. Attended design school in Detroit. Worked for GM for several years as a designer. Went on to attend Wyo-Tech and teach at Wyo-Tech. Christian went on to work for the best names in the business- Pinkees Rod Shop -Cotati speed shop -Foose Design -Walden Speed shop finally himself at Dotson Design and contracts for us here at CHRA. Started spinning wrenches with his Father and Uncle in his home garage. With over 25 years of experience we turn to Dean for all troubling electrical problems and tricky diagnosis needs. Various experience in the automotive field that helps with these Hot Rods that are always presenting challenges. Dean is ASE certified and has an extensive amount of specialty tools and knowledge to go along with them. Aside from my dad having one of a million "Old Blue" Chevy trucks when I was 4 and a few Chevelle's after, I myself have always appreciated the aesthetics and quality of a well built vehicle. I had worked for 3M over 10yrs and had owned a small business for a few years after that. I was tired of not pursuing anything in the custom car industry. At 32 I moved to Houston to work for a friend of a friend's one man shop. I learned what I could from there while leaning more towards metal fabrication. I had found CHRA in 2014 and felt their level of work catered more to what I wanted to do. After an over extended stay in Houston I moved back to my home town in 2015 and began working for CHRA. I feel the mentality of the crew, the level of experience, and final product is the best I've known.